As we can see in the previously mentioned execution, not all communication is verbal, there are many ways to get your point across to others through actions. In the case of Kim Jong Un, he was raised under the guidance of Kim Jong Il, his father and predecessor. He was taught to communicate to other nations via military demonstrations, displaying what they considered to be their military might, in order to intimidate others to give in to their demands. These efforts by his father most likely had a very profound impact on the young future ruler. As he aged and eventually came into power following his fathers’ death, his frame of reference came to resemble his fathers’ as he sought to establish his authority and intimidate others into cooperation. Ones’ communication style is greatly affected by previous experience and upbringing. It is during these times that we learn what does and does not work regarding communicating with others. Learning from others and the past is vital for everyone, but especially in the case of a nations’ leader. 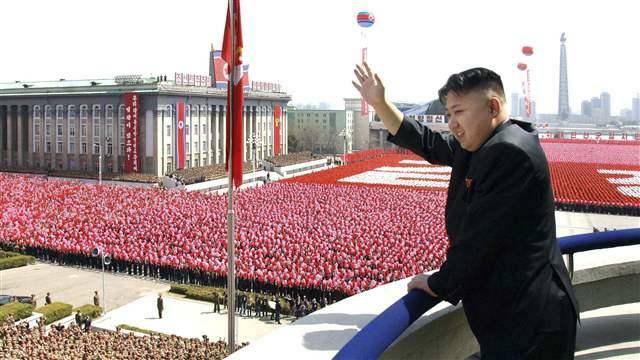 Kim Jong Un has learned from his father, his grandfather, and countless dictators before them throughout history. He has learned that communicating with others is essential to gaining and maintaining power. He, and dictators like him have learned that a successful way of controlling others, is to instill fear in them, and to convince them that undermining their authority is an idea that will not play out well for them in the long run. Communication is a powerful tool, whether it be through words or actions, and in the case of the North Korean dictator, he does not communicate verbally with the public very often at all. He is content to send his messages through other means. Another communication to the people of North Korea is made simply through the official name of the country, The Democratic Peoples’ Republic of Korea. While this name would imply democracy to its’ citizens, this is not at all the case. In fact, when Kim Jong Un was “elected” to the assembly, he was the only person on the ballot, and the people were able to vote “yes or no”. According to government officials, there was a record number in turnout, and all votes were “yes”. This is a clear example of the North Korean government communicating to its’ people that they have a say, and a voice in what goes on, even if it is a lie. A persons upbringing and experience can have great effects on the way a person communicates with others. Kim Jong Un was raised by a dictator, and saw the way he interacted with other nations and people. He now communicates in a similar manner, through brutality, violence, and lies, in an effort to retain his power and control those around him.